What will happen to my child with special needs when I die? Preparing for the future is so important — especially for parents of a child with special needs. Every parent of a child with special needs must consider the possibility that he or she may die or become incapacitated and unable to care for him or her. 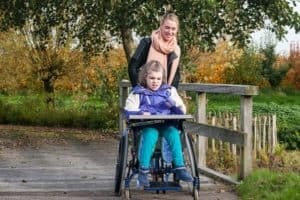 Unfortunately, parents of a child with special needs must have a plan in place for the almost certainty that their child will indeed outlive them. But where to start? A document of “guidance and information,” often referred to as a “letter of intent,” is an important step. It is what it sounds like: A document with information and instructions from you as to what designated friends and/or relatives – the “future team” – should do in the immediate aftermath of your death as well as the months and years to come. The document should include details, such as your child’s school or employer, bus times and the drivers’ names, health insurance, Medicaid or SSDI information, important routines, buzzwords to say or not to say in front of your child, and suggestions on how to tell your child about your passing. In addition, the document should include complete information and current documents about your child, such as legal name, hair and eye color, date and place of birth, doctors’ names and phone numbers, current medications, Social Security number, list of financial institutions and trust accounts, and more. Include every important detail, and try to remember that you have been doing this for years – so it’s a habit for you. Someone new isn’t going to know what you know. In this case, it might be better to include too much information rather than not enough. That said, an executive summary titled, “how to get through the next 24-48 hours with my child” with one or two pages of bullet points is an important addition to ensure the most important information in conveyed in an emergency situation. The letter also should include a description and location of your estate planning documents.